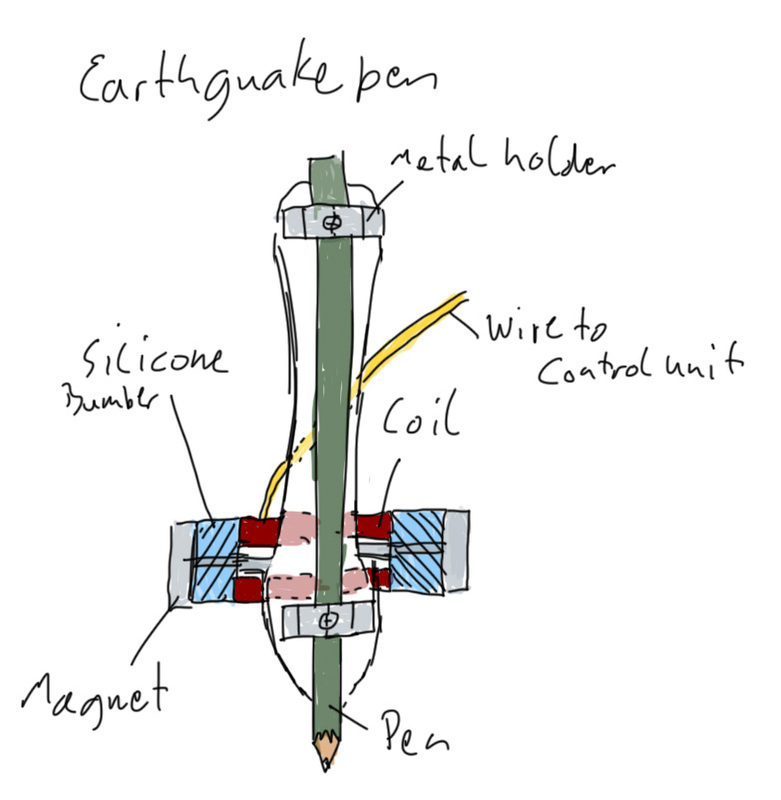 The final project will be a full working super advanced Earthquake-Pen. With this button actions in 3 aches can be executed, like shown in the last homework. This actions once pressed causes the pen to draw sinus wave modulations based on the finger position. 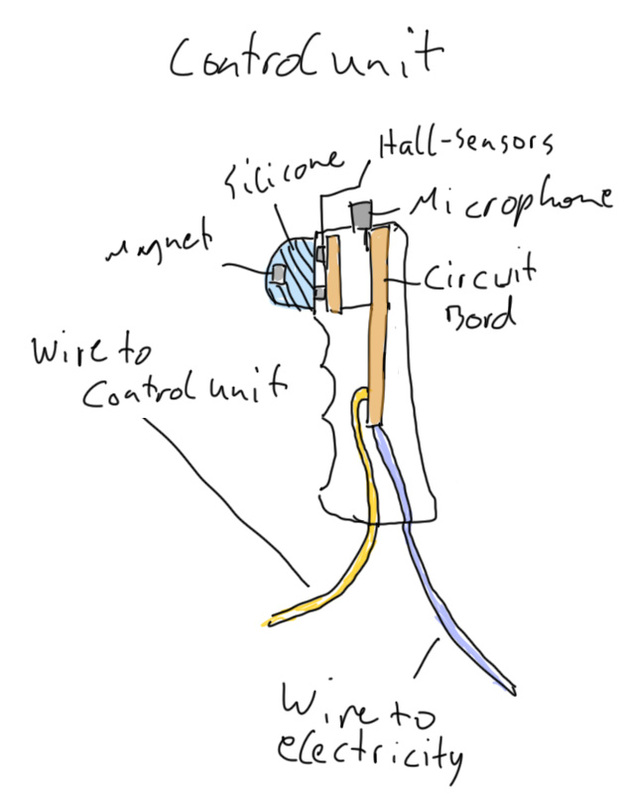 The Pen contains a coil and two magnets there suspended by silicone bumpers. Trough the bumpers elasticity and the weight of attached magnets, vibration and hereby waves on paper can be performed by the pen.